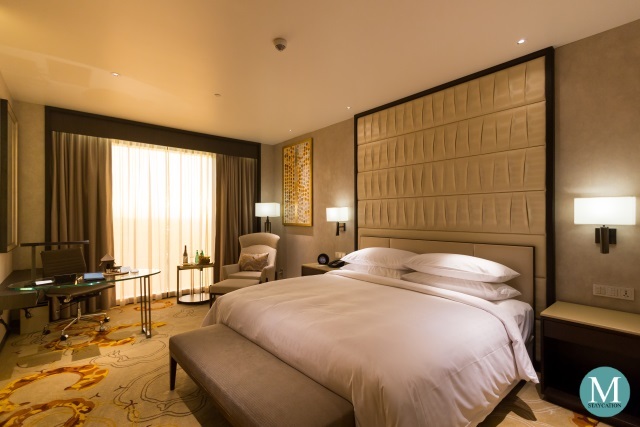 The Suite Rooms at The Picasso Boutique Serviced Residences in Makati City (Manila, Philippines) are perfect for families or group of friends looking for more room space for their weekend staycation. 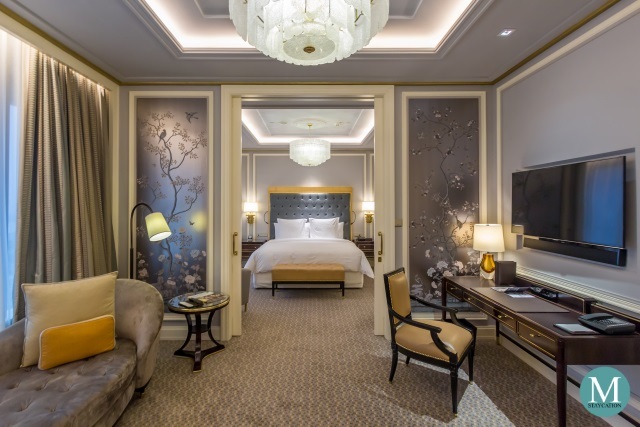 Measuring at 88 sm, the Suite Room is twice the size of the hotel's Studio Room. It has a separate bedroom and living areas, as well as an ensuite bathroom with a bathtub and walk-in shower. 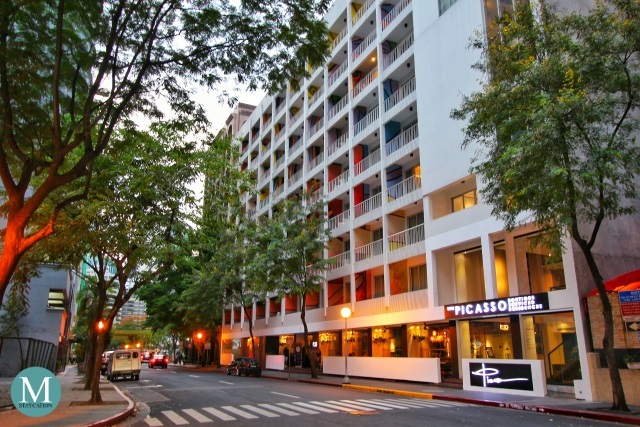 The Picasso Boutique Serviced Residences, or simply The Picasso Makati, is one of our favorite hotels in the Makati Central Business District (Manila, Philippines), especially during weekends when the area is void of its usually high volume of cars and dense population of office workers, thus providing guests with the luxury of fresher air to breath and more space to move around. 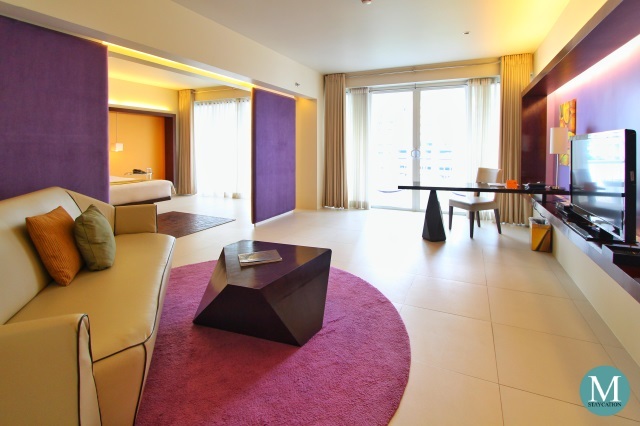 The Studio Room is one of the four room types of The Picasso Boutique Serviced Residences in Makati City (Manila, Philippines). 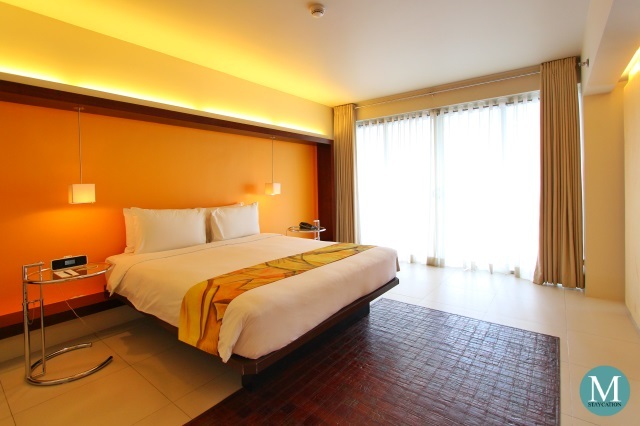 Although its the most basic room type, The Studio Room is luxuriously spacious at 45 sqm which, in Makati City standards, is much bigger than the average size of similar hotel guestroom types in the area. Studio Rooms are ideal for couples or small families looking for an affordable weekend staycation in the city. 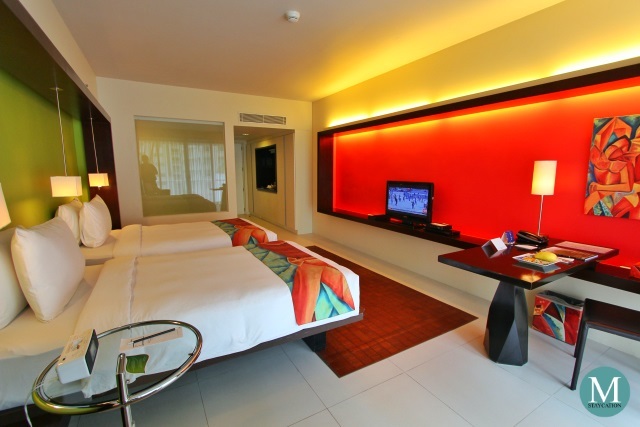 The Suite Room is one of the two higher room types of The Picasso Makati (check room rates), a one of a kind boutique hotel in Metro Manila where the interior is filled with art pieces and walls serve as blank canvases splashed with stark colors of reds, blues, yellows and violets. 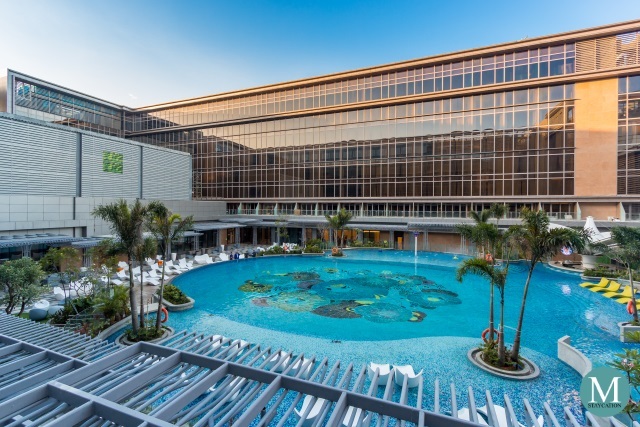 The hotel is named after Pablo Picasso, a Spanish painter and sculptor who pioneered the Cubism art movement, and from whom the design of the hotel took its inspiration. Suites are available in two themes. The Barcelona Suites are located on the 2nd to 5th floors of the hotel and are available in color combinations of deep sea blue, rust, dark gold and olive green. Located on the higher floors from 6th to 9th are the Montparnasse Studios which are available in color combinations of dark beige, royal blue, red and gray. We stayed in a Barcelona Suite during our first staycation at The Picasso Makati. Elements of Cubism art were well expressed in our room with the rectangle, triangle, diamond and trapezoid shapes of the furniture pieces, as well as art pieces, wall accents and bed runners taking inspiration from Picasso's works. The bedroom is furnished with a king-size bed leaving enough free space for guests to comfortably move around. The Suite can accommodate two adults while children aged 12 years old and below can join the parents free of charge (check room availability). 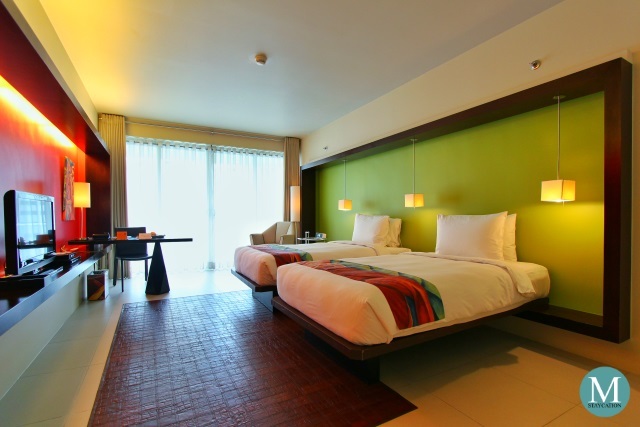 The suite is spacious enough to accommodate up to two extra beds. 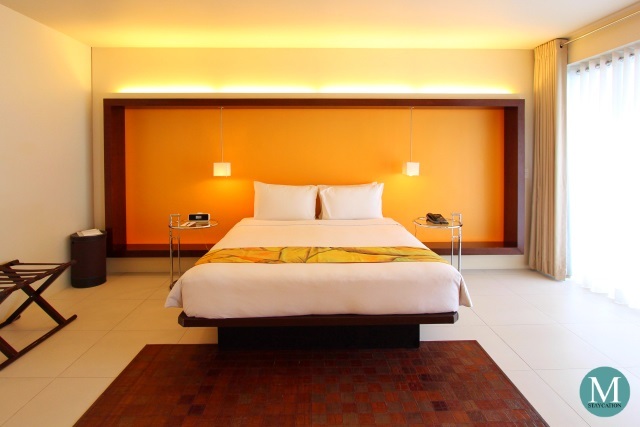 Extra charges apply for every extra bed at P1,000 each or P1,500 for an extra bed inclusive of breakfast for one person. The living area, on the other hand, is furnished with a study table which doubles as a dining table. There's also a sofa and a coffee table. Both the bedroom and the living area have their own verandas with floor to ceiling sliding glass windows that allow natural light into the room. Our Suite was already pre-cooled when we arrived at the hotel, making it easier for us to settle to our room. 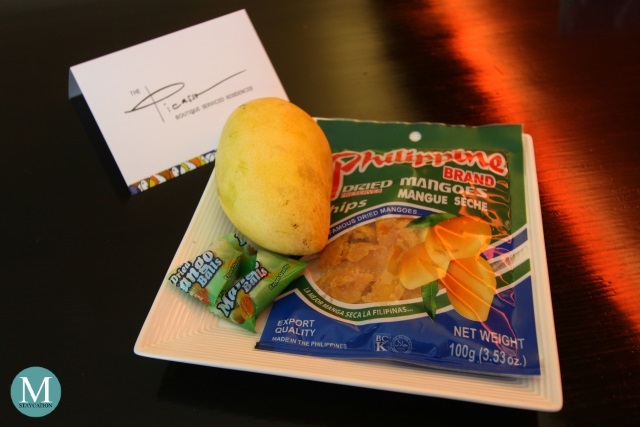 Welcome treats of fresh mango, dried mangoes and mango balls, coupled with a personal note from The Picasso Makati team, added more to the sense of arrival. Our Suite was equipped with two individually controlled air-conditioning units, one for the living area and another one for the bedroom. There's an LCD TV at the living area where we spent most of our afternoon surfing local and international cable channels. 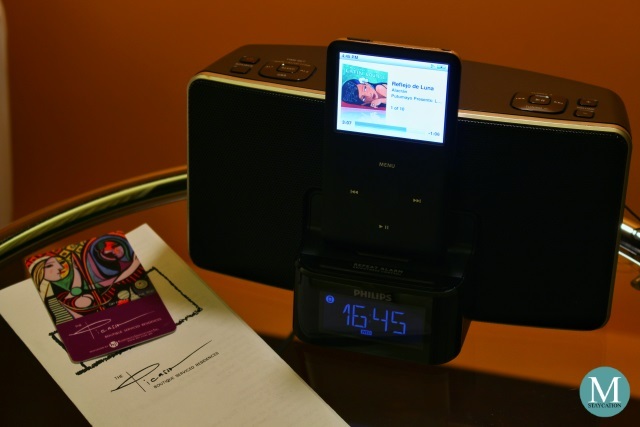 Towards the evening, we dimmed the lights in our room and played latin and lounge music through bedside clock radio. High-speed WiFi Internet connection was also available during our whole stay. Weekend staycationers will also enjoy the residential amenities provided by the hotel to its guests. 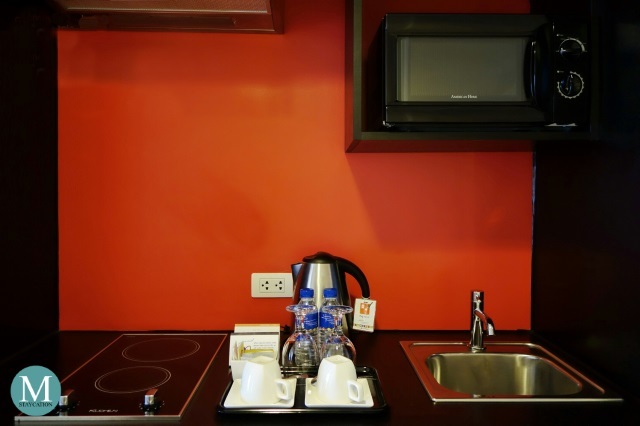 The kitchenette for instance is equipped with a mini refrigerator, an electric stove, a microwave oven, and an electric kettle. These amenities provide staycationers with an option to prepare their own food right at the comfort of their room. Complimentary bottled water, instant coffee and tea bags are also provided. Other residential amenities such as rice cooker, cooking utensils, dinner plates, spoon & fork sets, glassware, iron, and ironing board are also available upon request. 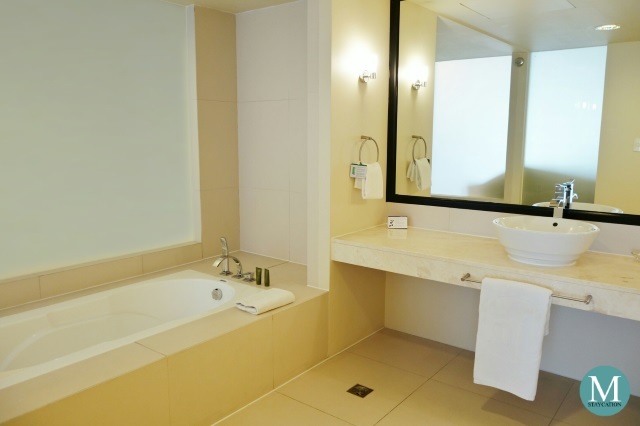 The ensuite bathroom is luxuriously spacious and clean. There's a single basin with a spacious marble countertop where guests can place their personal toiletries. High quality cotton towels such as bath towels, hand towels, face towels and foot towels are also provided. Just like in most luxury hotels, there's an enclave bathtub and a separate walk-in shower. 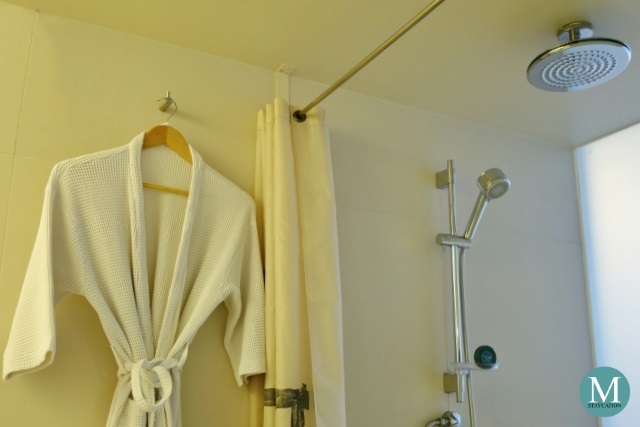 The walk-in shower is equipped with a handheld showerhead and a rainshower head mounted on the ceiling. Water pressure is excellent while water temperature is easy to regulate. Two pieces of waffle bathrobes are provided per suite. The bathroom also has a separate cubicle for the toilet which is equipped with a bidet. 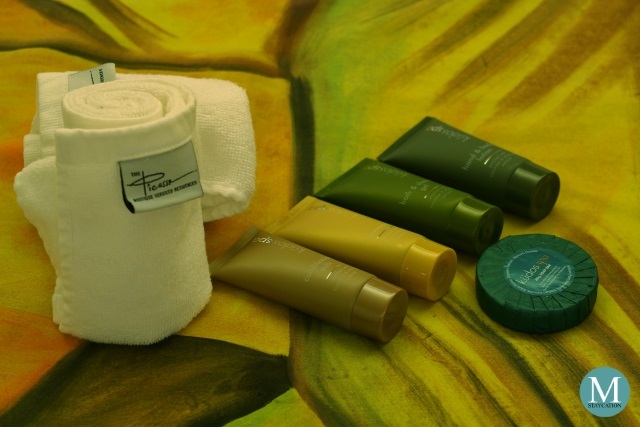 One of the amenities that always excites us whenever we stay at The Picasso Makati are the Kudos Spa branded toiletries by Concept Amenities, an Australia-based supplier of body and bath amenities to the hospitality industry. The Kudos Spa set includes Cleansing Shampoo, Hydrating Conditioner, Bath & Shower Gel, Hand & Body Lotion, and Cleansing Soap, all made with Cucumber and White Tea extracts. We absolutely love the combination of Bergamot and Green Tea fragrances of these bath and body amenities. 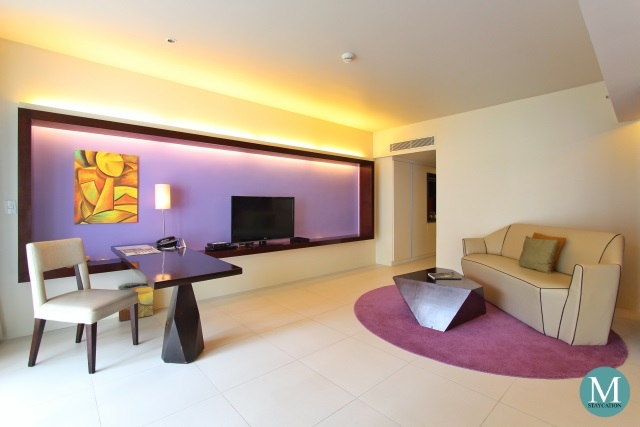 The Studio Room is one of the four room types of The Picasso Boutique Serviced Residences in Makati City (Manila, Philippines). Although its the most basic room type, The Studio Room is luxuriously spacious at 45 sqm which, in Makati City standards, is much bigger than the average size of similar hotel guestroom types in the area. Bigger groups of friends and families may opt to book a Suite with a connecting Studio. A Studio Room can accommodate two adults and is available in two bed configurations: a queen-bed setup or twin-bed setup (check room rates).